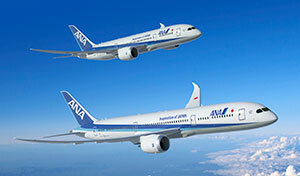 Both ANA (All Nippon Airways) and JAL (Japan Airlines) operate flights to Okinawa. Travellers to Asia whose leisure priorities are focused on big cities like Taipei, Hong Kong, Shanghai, Seoul and Tokyo can also consider a quiet island stopover in the immediate vicinity. Okinawa is that island, a place that is only now starting to achieve some tourism visibility in North America. Given its location at the virtual crossroads of Japan and China, Okinawa is much better known as a leisure/beach destination in the surrounding Asia region. Travellers from Japan, China, Hong Kong and next-door Taiwan, plus Korea and others, have learned the secret of this island escape in the East China Sea. But it is now gaining some visibility on this side of the Pacific, not as a stand-alone destination, but as one included in multi-stop Asia city tour. For instance, companies like Royal Scenic, Jade Tours and Marco Polo Tours are offering visits to Okinawa as a stopover destination, within itineraries that feature cities such as Kyoto, Osaka and Tokyo. Jade Tours in Vancouver is packaging three nights in Naha, a car rental in Okinawa and one night in Tokyo within an itinerary that then takes in Hong Kong. A package by Royal Scenic combines stays in Tokyo, Osaka and Kyoto with a visit to Okinawa, and offers extensions for travel to Southeast Asia. “Okinawa is a great destination for Canadians during our winter months,” said Vicky Ho, general manager of Royal Scenic in Richmond, BC. Marco Polo Tours of Vancouver offers Okinawa as part of a Japan tour, or en route to other destinations in the region. After the Okinawa visit, an itinerary can then include Hong Kong and Southeast Asia, said Jackie Ma, president of Marco Polo Tours in Vancouver. The qualities that make Japan a favourite destination for many, such as safety and cleanliness, are also present in Okinawa. But add to that a laid-back lifestyle, plus abundant water sport activities and unique local food and drinks options, says Ma. It is a measure of the size of Japan, north to south, that while snow falls on the ski runs of Hokkaido during winter, Okinawa remains temperate and comfortable, with temperatures that hover around 20 C or in the high teens. That is a point of attraction for undersea enthusiasts, who have learned that Okinawa and its neighbouring islands are rich in undersea life and reef scenery. This is especially the case in the springtime months of March and April, when sunny, warm (mid-20s C) and clear days can be expected – ahead of the rainy season in May and the big heat of the summer. Twenty-five of the islands are accessible by plane or ferry, and snorkelling/scuba diving are top attractions there. Ishigaki Island is the best known of these, serving as the commercial hub of the archipelago. Its airport serves flights from Naha and the cities of Japan’s mainland. Much of Ishigaki Island and its surrounding waters are protected as part of Iriomote-Ishigaki National Park, known for its surfing, snorkelling and diving sites. 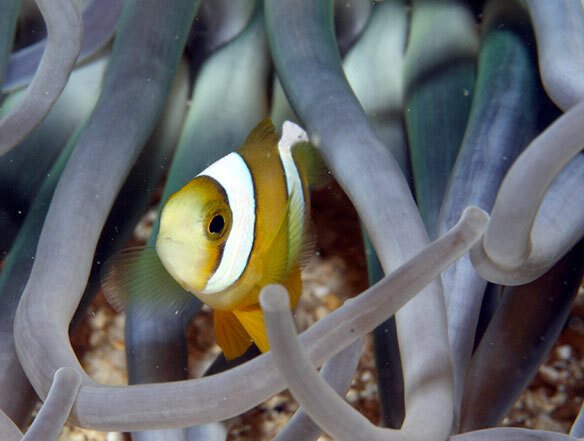 Within the park lies the rare blue coral of the Shiraho Reef, and marine life such as the bright clown fish can be found there. But Okinawa has a compelling option for those who want to observe all that rich sea life without getting their feet wet. The Churaumi Aquarium was once the largest aquarium in the world, and its giant transparent tanks provide an immersive experience for visitors. For instance, the main tank, called the Kuroshio Sea, is 35 metres long, 27 metres wide and 10 metres deep. It holds 7,500,000 litres of water and is held together by acrylic glass panels that are 60 cm (two feet) thick. 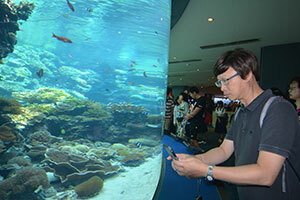 A confirmation of the aquarium’s immensity is the residence of three whale sharks there. The whale sharks are up to 8.7 metres in length, and three of them swim placidly in the Kuroshio tank. Other creatures like manta rays and a vast variety of tropical fish coexist with them. The aquarium covers four floors, with a total of 77 tanks containing all manner of deep sea creatures. Water for the saltwater exhibits is pumped into the aquarium from a source 350 metres offshore, 24 hours a day. The aquarium is located in the northwest side of Okinawa. It’s over 70 years in the past now, but the citizens of Okinawa do not forget the events of late March 1945, when the Second World War reached their shores. These basic facts, plus many more details, maps, photographs and descriptive dioramas, are housed at the Okinawa Prefectural Peace Memorial Museum. It is a sobering but well- presented collection of facts and artifacts, situated at a cliff- side park above the sea. A nearby cemetery has been designed using monuments inscribed with the names of those from both sides of the battle. Sports enthusiasts who visit Okinawa may be keen to know that the island is regarded as the birthplace of karate. This martial art is set to achieve a new level of recognition when it is showcased as an Olympic sport for the first time, debuting at the Tokyo Games in 2020. Tourists in the know will be able to find a number of karate “dojos” in Okinawa, especially in and around the capital city of Naha. But for those with little to no knowledge about the sport, a visit to the Okinawa Karate Kaikan could be in order. This is a large facility, with lots of wood and wide open spaces, located in Tomigusuku City, just south from Naha. Visitors can tour an exhibition hall that uses lots of CGI video images to illustrate karate techniques and movements. There, they will learn more about how karate was developed in Okinawa during the Ryukyu Kingdom-era, from the 15th to the 19th centuries. Following a fundamental philosophy of “no first moves,” karate is characterized by the defensive/offensive use of fists, elbows and knife-like hands. Karate-related goods and souvenirs are sold in the exhibition hall, and there is a small fee to enter and tour it. Most of the rest of the Okinawa Karate Kaikan is broken out into roomy practice studios, plus a large auditorium. Visitors with a guide may encounter karate martial artists working out and practicing their moves in these studios. However, visitors need not break a sweat. Okinawa is the kind of place that prioritizes a relaxed, laid-back approach to vacation time. That makes it an option worth considering for Canadians on the run from winter.